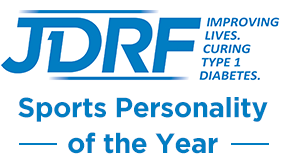 'Rumble in the Jungle' - Black History Month | Life, Sport and Diabetes - An everyday look at my life with type 1 diabetes. Although black history month is almost at an end and I've had a great time celebrating it, I couldn't let the month conclude without a mention about arguably one of the greatest sporting moments in history and almost definitely one that impacted on attitudes towards black people forever. 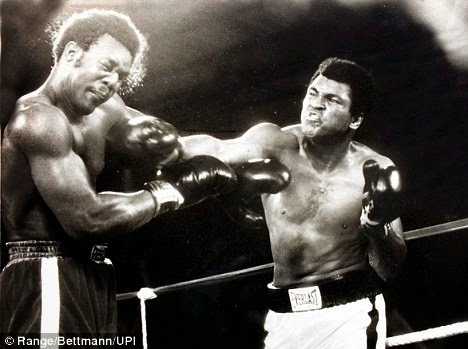 I'm talking of course about the boxing match known as 'The Rumble in the Jungle', the fight between athletic powerhouses Muhammad Ali and George Foreman. Which today sees its 40 year anniversary since the famous bout took place. I've been reading a great article today, written in the Daily Mail by boxing promoter and the man who put the match together- Don King. Who talks about the struggles he had to go through to bring the two sporting legends together and how, the man people thought would be the clear loser, turned out to be the better man on the day. Put simply Don King notes that the impact of what happened in the ring and the way it reverberated outside of the sporting arena, helped change the course of black history. "I became visible in a time when black people were invisible. Nothing is more powerful than an idea whose time has come... We had torn down barriers and set a new tone in enterprise. Suddenly, black men were working with white men." I believe sport is a powerful tool that has the ability to bring people of different backgrounds, religion, gender and beliefs together and unite them under one goal. That it's because of trailblazers such as Muhammad Ali and George Foreman who showed that, as Don King quotes, (and I paraphrase) sport can be a vehicle for good and a driving force in the pursuit towards equality and acceptance. A message as important today as it was 40 years ago.